Enjoy tea and scones in the Camellia Tea Room on garden open days. Please see website for details. Afternoon Tea is served with assorted baked goods and freshly baked scones, served with jam (made with fruit from the garden) and Devonshire cream. 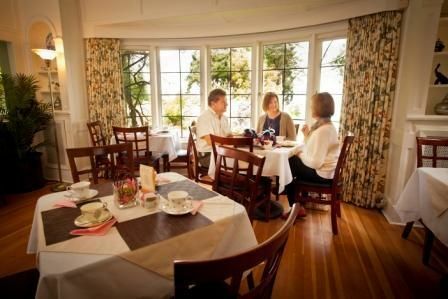 The Camellia Tea Room is located in the drawing room of the historic Milner House. 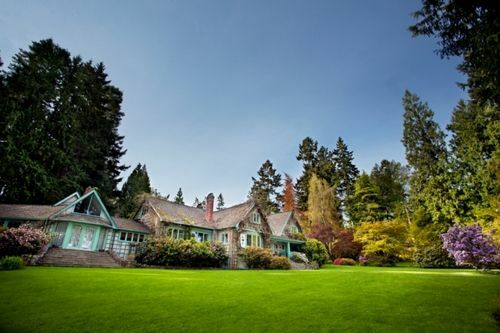 No reservations are required, except for Full Afternoon High Tea Luncheon or large groups. Heritage plants propagated from the garden's collection and collected Milner seeds are available for purchase. Check out the plant sales nursery on any garden open day. 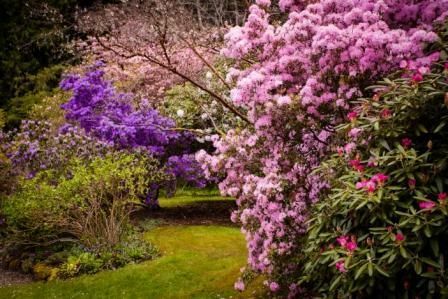 Find peace and tranquility as you meander the 4 hectares (10 acres) of woodland gardens lined with Rhododendrons, Cyclamen and Trilliums. Guided tours are available to groups of 10 or more with prior arrangments. To arrange a guide, please contact the main office at milnergardens@shaw.ca . 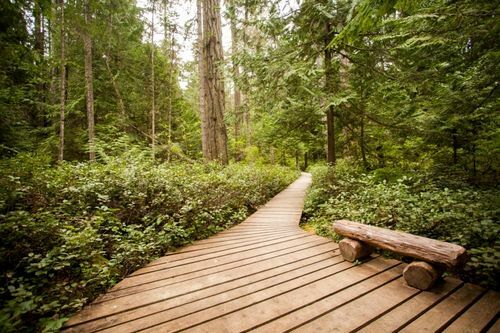 Stroll the winding pathways and magical surroundings of an ancient coastal Douglas fir forest. We have umbrellas you may borrow! See web page for current special events, including the popular family oriented Milner Christmas Magic, an outdoor Christmas light show for the whole family to enjoy. 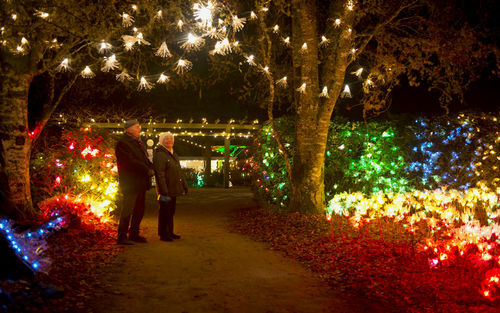 Over half a kilometre of lit and decorated trails! Bring the children for the annual Fairy House Surprise held in June, when fairy houses magically appear in honour of Veronica Milner's belief in fairies, and International Fairy Day. Please see website for open hours, admissions and special events.